Florida’s southwest coast is grappling with the largest, longest red tide in more than a decade. Dead fish, sea turtles and manatees are littering the sugar sand beaches of Lee and Collier counties. Last weekend nearly 4,000 dead fish were counted on Sanibel beaches. 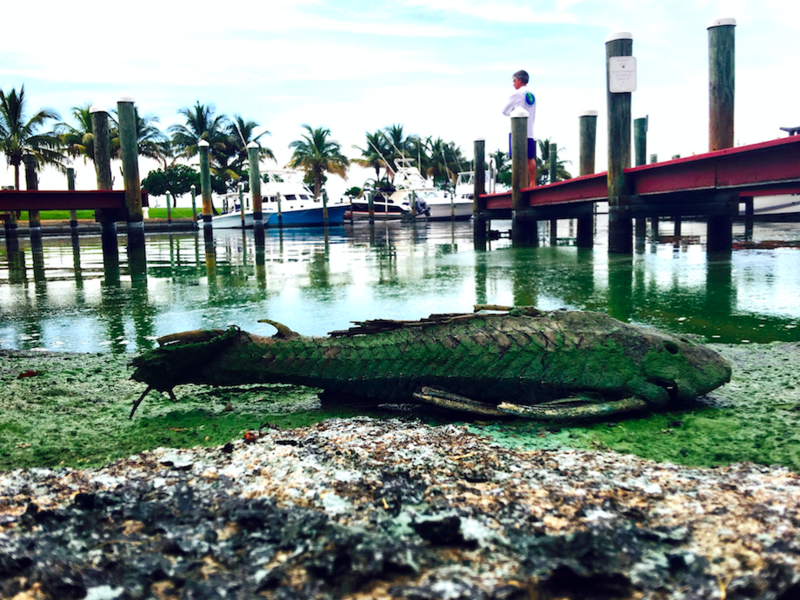 Florida’s southeast coast is similarly struggling with massive blue-green algae blooms. 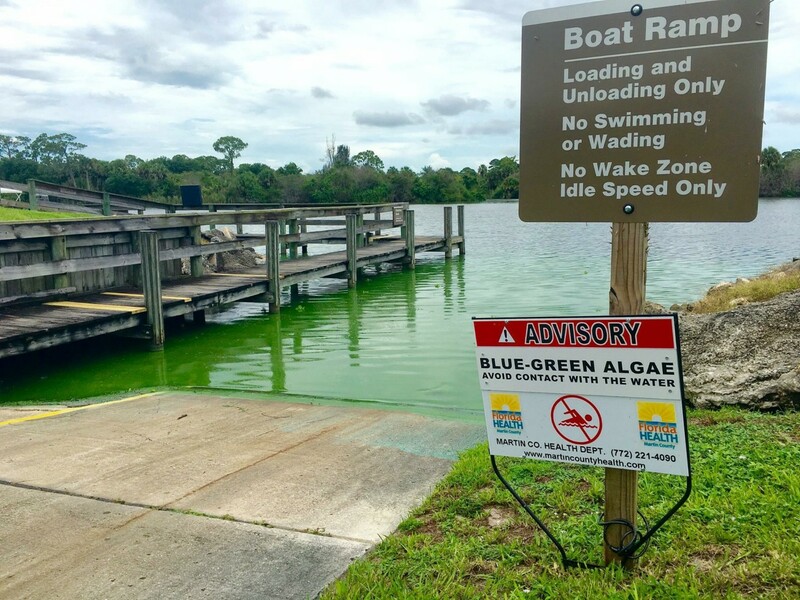 A recent news report stated that at least 15 people were treated at emergency rooms in St. Lucie County after making contact with the algal blooms. 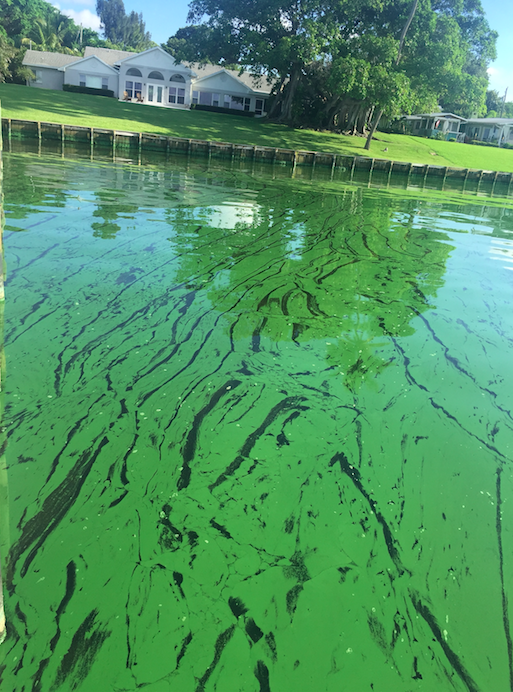 I hesitated to write this blog post, because what I really wanted to do was copy and paste the post I wrote on algal blooms in Florida two years ago. That post explained the hydrology of Florida’s famed River of Grass, how we carved up the wetlands in South Florida for flood control and development, and why the St. Lucie and Caloosahatchee estuaries were being decimated by nutrient pollution. The summer of 2016, we dubbed Martin, St. Lucie and Palm Beach counties the “guacamole coast.” Countless manatees, dolphins, fish, and birds washed up dead on our beaches. Coastal businesses closed, homes were shuttered, people were sickened, and we were outraged. The Florida Legislature promised action, the Governor declared a state of emergency, and everyone pointed fingers. Bolstered by massive public pressure to buy land south of Lake Okeechobee, Senate President Negron proposed a large, shallow reservoir of 60,000 acres to store and clean polluted waters from the north. Naturally by the time the legislature passed the bill, it had dwindled to 10,500 acres on primarily state-owned land. The loss of acreage means that the reservoir will have to be 23-feet deep, raising concerns from scientists and environmental organizations that the reservoir might not function at all. Regardless, the proposal still lacks some major funding and is years away from completion. Which brings us back to today. In short, two years after our “lost summer” nothing has changed. Aside from the obvious destruction of Florida’s natural hydrology, how did we get here? Why do we have algal blooms in rivers, lakes, and estuaries year after year, and why is the problem worse than ever? At its heart, this issue is about nutrient pollution- too much nitrogen and phosphorus washing into our water bodies. Nutrient pollution comes from a number of sources, including: agriculture, residential and urban runoff, and wastewater. So let’s take a look at how our state government has handled these major sources of pollution. It’s no secret that agriculture is one of the largest sources of nutrient pollution in the country. In Florida, the 700,000-acre Everglades Agricultural Area is used primarily for sugar production; approximately 500,000 acres are controlled by U.S. Sugar and Florida Crystals. You may remember that in 2011, the state was poised to purchase 187,000 acres of U.S. Sugar land to restore the historic flow to the Everglades. Governor Scott scrapped that plan, and then passed up a 2015 opportunity to buy nearly 47,000 acres of U.S. Sugar land. The problem wasn't lack of funds - Florida voters had already approved Amendment 1 for the explicit purpose of purchasing conservation land. The problem was political, and Florida's decisionmakers caved under intense pressure from U.S. Sugar who opposed the deal. Of course, it’s hard to talk about impaired water quality without mentioning wastewater. There are approximately 2.6 million septic tanks in Florida, of which only about 17,000 are being inspected. In 2010 the Florida Legislature recognized that leaky septic tanks are a major source of nutrient pollution and passed a bill to require the inspection of septic tanks once every five years. In 2012, before the law had even been implemented, the Legislature and Governor repealed the inspection mandate. Even areas that are sewered contribute to pollution problems as sewage infrastructure is in desperate need of repair and upgrading to handle the flows from growing populations. Last fall’s hurricane season saw numerous sewage spills and leaks as coastal storms swept over Florida – but it doesn’t take a major storm for untreated sewage to make it into our coastal waterways. Just a few weeks ago, 870,000 gallons of sewage spilled into the Indian River Lagoon thanks to a pipe that was supposed to have been abandoned forty years ago. Last week, 1,200 gallons of sewage flowed into Choctawhatchee Bay after a lift station failed. Repair crews attributed the spill to "aging infrastructure components." In his first year the Governor also drastically reduced budgets for Florida’s five regional water management districts, eliminated the Department of Community Affairs (Florida’s growth management agency), and urged expedited permitting for new developments. In short, it’s been open season on environmental regulations and water quality standards for a long time in Florida. It is my most sincere hope that I won’t have to rewrite this blog next summer. Maybe by that time we will have begun to turn this ship around. We need urgent, comprehensive, and yes- drastic action from Florida’s leaders. There’s no time for finger pointing or politics. As temperatures continue to rise and nutrients are undiminished, increasingly catastrophic algal blooms are going to reappear year after year. Normally we would appeal to you to stop using fertilizers, or get your septic tank inspected (both good things to do, by the way! ), but today our only ask is to contact your elected officials. Demand answers, demand a plan, demand action. Call your U.S. Senators, your Member of Congress, your State Legislators, and your Governor. 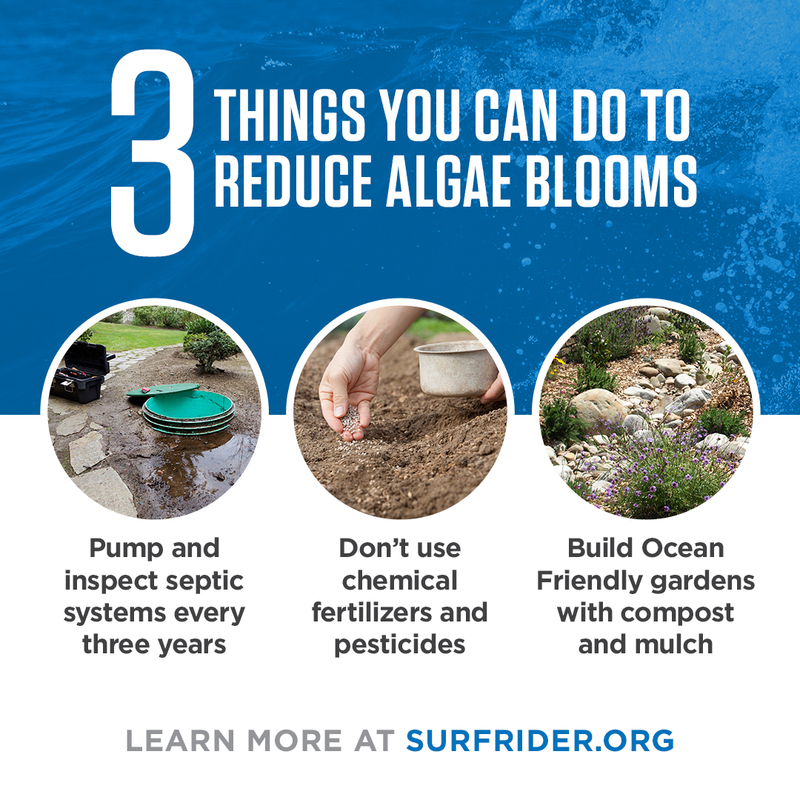 Ask them for strong water quality standards, ask them to enforce existing regulations, ask them for common sense solutions like mandatory septic tank inspections.